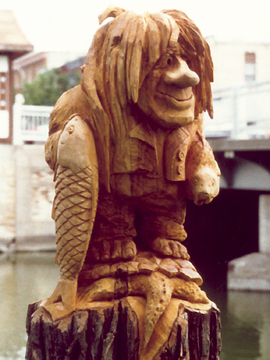 These sculptures are logs, usually 12 to 16 feet in length, implanted below the frost line. 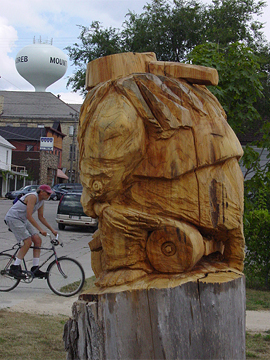 They require heavy equipment for installation. 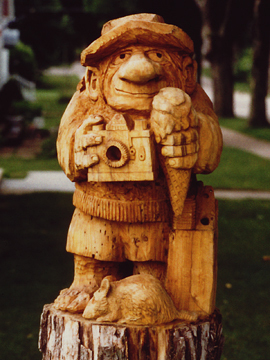 Each carving is oiled and comes with care and feeding instructions. 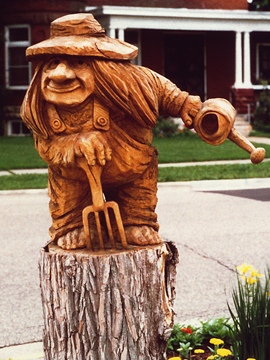 These implanted carvings give the appearance of an existing tree, with the convenient choice of placement in your lawn or garden. 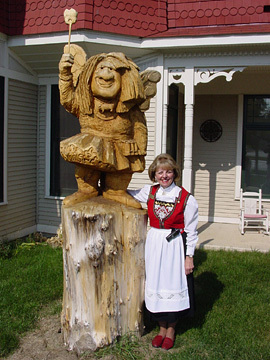 To read more about the life size original sculptures, located on the Mount Horeb Trollway, visit the Field Guide to New World Trolls, Troll Spotter List.